The capital of Udmurtia on the "educational Olympus" did not Shine ever, but that does not mean that the city of gunsmiths are no decent Universities and professional schools. It's all about the specifics of training, because most of the educational institutions focused on the needs of the city professional staff for weapons production. In Izhevsk the training is conducted in Russian and Udmurt languages. Pre-University education includes technical schools and colleges. Most popular - ANO GIK (Humanitarian-engineering College), which trains graduates of 9-11 classes 22 specialties. The College has quite a modern educational base and gives good practical training to its students. 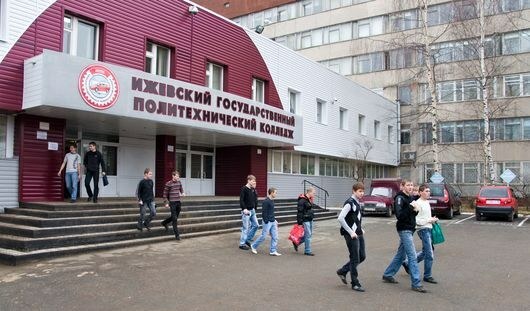 State educational institution of higher vocational education "Izhevsk state Polytechnical College" in 2011, confirmed its status and extended license. College is seen mostly as a step on the path to higher education in Udmurtya state University, which is partner of many foreign Universities, but because it seems the locals are very attractive. After Polytechnic College easier to enroll in a technical University, which in 2012 was awarded the name of M. T. Kalashnikov. University of this base, gives the fundamental knowledge to more than 50 specialties. Its graduates are highly valued in the labour market of the region, and therefore to study here will have to withstand considerable competition. Become a student of a Polytechnic dream and graduates of the industrial College. Today, this College loses its position, all because of the financial situation, however this does not mean that the quality of the educational program suffered. Medical school, Udmurt Republic, unfortunately, was unable to confirm the status of the Institute and today has the status of the medical Academy. Founded in 1933, the UNIVERSITY has produced hundreds of pediatricians, dentists, Pharmacists and nurses. As in most large cities of Russia, in Izhevsk many branches of the capital's Universities, including Academy under the President of the country, the government of the Academy, all-Russian correspondence financial and economic Institute.